To make a choice to pardon or release someone based on a wrong they did…that’s forgiveness. It’s doesn’t at all mean that the wrong was justified or that it never happened. Some think that to forgive is to admit that what someone did wasn’t wrong. That you, the one hurt, doesn’t have a reason to be hurt or offended. That they, the offender, is off the hook. Wrong! There are consequences, but we are not always the one to determine what those are. It is NOT a get out of jail free card for them…it’s for you. To be free from anger, resentment, bitterness, and pain. It’s a gift you give yourself. I was taught that just so long as they said “sorry” that was enough. Well, that’s not enough for me and I found that’s not enough for God either. He requires more, a godly sorrow that leads to repentance and a change of heart and actions. Proof is what I like to call it. How many times have you asked for forgiveness and turned around and did the same thing again? Or, someone has said sorry only to turn around and repeat their behavior? We must live by Gods standard, especially if we hold others to them. Forgiveness is not shoving things under the carpet. Forgiveness is not forgetting it ever happened. That’s denial and avoidance. Doing this hides us from the truth and closing the door on our healing. Pain left unhealed blinds us to our future. We can’t move forward because we are always looking back. Forgiveness doesn’t have to establish a relationship. This is where so many people have it wrong. They think to forgive is to allow that someone back in your life. In some cases this will happen and relationships can be restored. Sometimes, relationships are altered and require strict boundaries, if not a temporary or permanent separation. Take abuse for example. Should someone who is being abused allow the abuser access to them just because they apologized? Or should there be boundaries that limit relationship and access until a pattern of sincerity and changed behavior is proven? Sadly, so many of us don’t know how to forgive and begin the process of healing because we have been misinformed. Forgiveness is a choice. Gods word tells us to forgive so that we can be forgiven. Although we may never do what someone has done to us we are not perfect. We too, are human. Imperfect. It’s a process. We are a process. It took me a moment to forgive and years to walk out the process of healing. It took a moment to ask for forgiveness, but time to learn a new way. This is a process that if we can walk it out no matter the pain, we can be free, eventually. Free from the stains we caused and free from the stains that others have left behind. I don’t pretend to have it all together. Many days I have to remind myself that it takes time. Being quick to forgive is hard, but freeing. Knowing that I need Gods forgiveness keeps my heart pliable to truth…Gods truth. I pray Gods truth would be louder than our past hurts, lies, and misunderstandings. My desire is that we can move forward and experience healing, healing that leads to freedom. Freedom that helps us set others free! Today as I was enjoying my breakfast I was confronted with a piece of my past. Why does that sting so much? Makes me just wanna crawl back in bed and stay there. Memories flooding my mind and taking me back to a place that I never wanted to visit again. A place of shame. Guilt. Regret. What do we do in these moments when you’re taken by surprise by your own actions? I was reminded that I am forgiven. 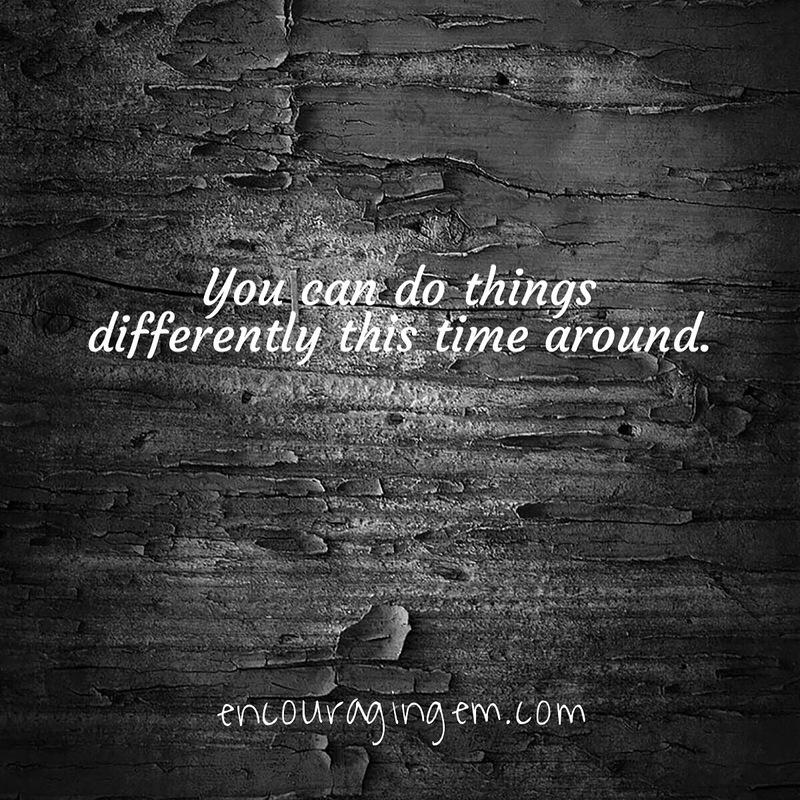 That I have a choice to do things differently. What once was is no longer. I can’t go back and undo what was done but I can do what I should’ve done then, today. Gods mercies are new every morning and today I needed an extra dose. I got it in the form of a gentle soul who whispered grace to me. She reminded me of how far I’ve come. When all I saw was shame she saw me. She echoed the redeeming voice of God. No condemnation. No judgement. Couldn’t we all use that? You can choose today, right now, to go a different way. He will give you the grace to hold your head up high. No shame. No guilt. Just freedom. Choose today to live in the freedom of his grace. He is kind. He is redeeming your past for his glory and your good! Now go and pass on his grace to someone who needs it!